The Sebring Hall of Fame was established in 2002 at Sebring's 50th Anniversary celebration. Inductions are held every other year, taking place the day before the running of America's premier endurance race. You may remember that in 2012 Hans Herrmann was inducted and in 2010 Hurley Haywood was among the inductees. This year, Porsche is once again well represented with Vic Elford, the late Peter Gregg and Brumos Racing among the inductees. 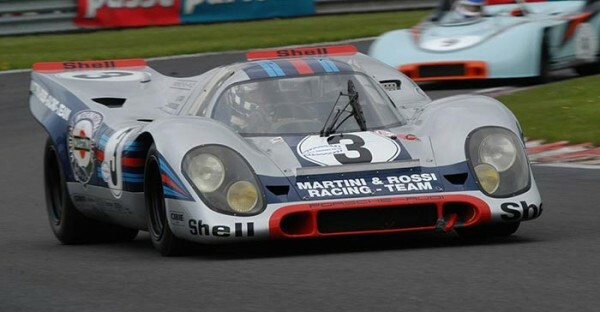 Vic Elford won the 1971 Sebring 12 Hours co-driving a Porsche 917 with Gerard Larrousse. He also finished second at Sebring in 1968, the same year he won the 24 Hours of Daytona. Elford won class twice at the 24 Hours of Le Mans (1967, 73) and has 13 F1 World Championship starts to his credit. The late Peter Gregg won Sebring overall in 1973 co-driving with Hurley Haywood and Dr. Dave Helmick. Gregg also has two class wins at Sebring (1970, 72) and four victories in the Rolex 24 at Daytona. Gregg won six IMSA GT championships and two Trans-Am Championships during his stellar career. Gregg led Brumos Racing throughout most of the 1970s and 80s, making the famed "No. 59" entry one of the most dominant forces in sports car racing. Brumos has entered the Sebring 12 Hours 20 times, claiming one overall and three class victories. At Daytona, Brumos has won overall three times and added four class victories. 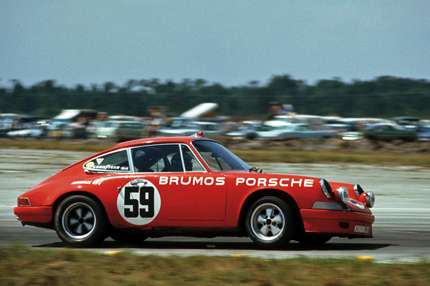 Based in Jacksonville, Florida, the Brumos name has become synonymous with endurance racing success. The 2014 Hall of Fame induction luncheon will be held on Friday March 14 at the Chateau Elan Hotel and Conference Center, overlooking Sebring's famous Hairpin turn, the day before the 62nd Mobil 1 Twelve Hours of Sebring Fueled by Fresh from Florida. We'll be attending the Hall of Fame lunch again this year and posting information to our Twitter, Facebook and Instagram accounts. If you're not already following us on those service, be sure to click on any of the links to do so. The luncheon is open to the public and tickets ($200 donation to the Sebring Hall of Fame) are available by calling 863-655-1442 x205.